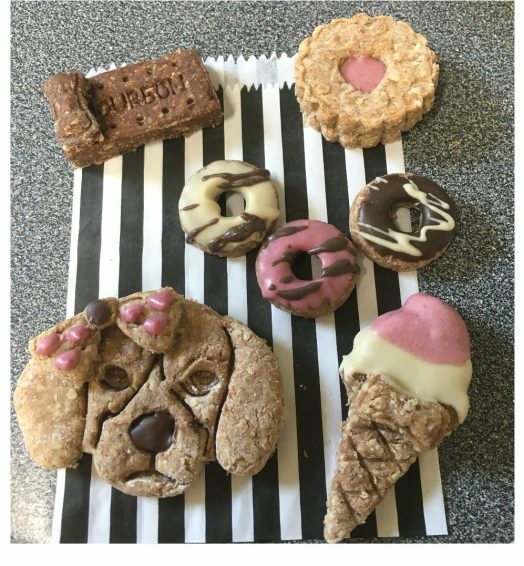 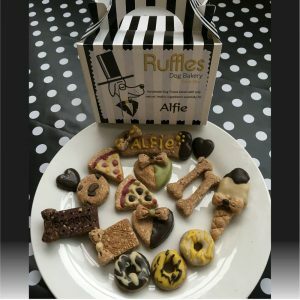 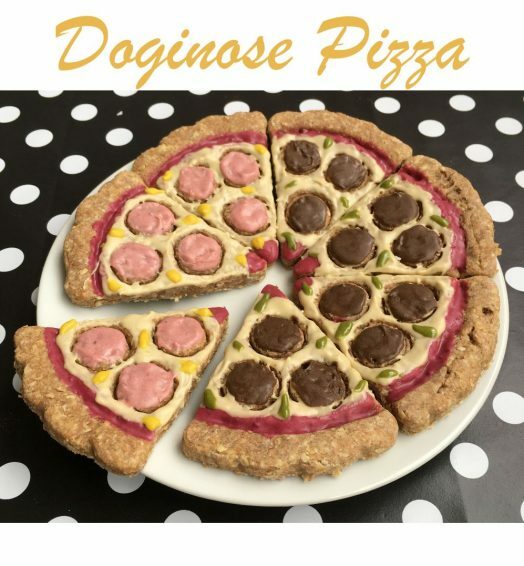 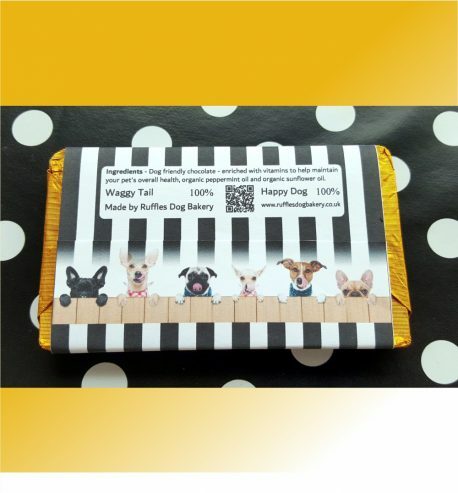 Ingredients: Wholemeal flour, oats, organic smooth peanut butter, carob chocolate and decorated with dog friendly frosting. Herb Bones: Basil, Mint or Parsley. 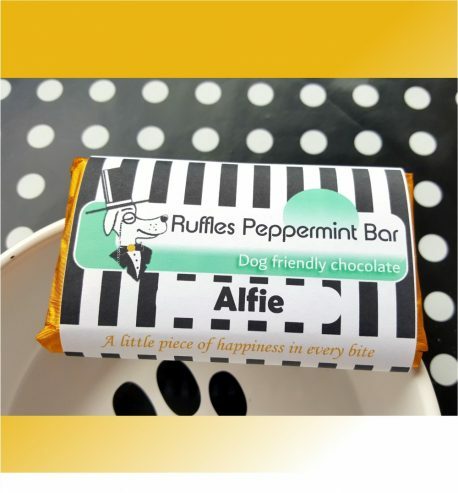 Chocolate Colours: Are made from natural colourants – Turmeric, Wheatgrass and Beetroot Powder. 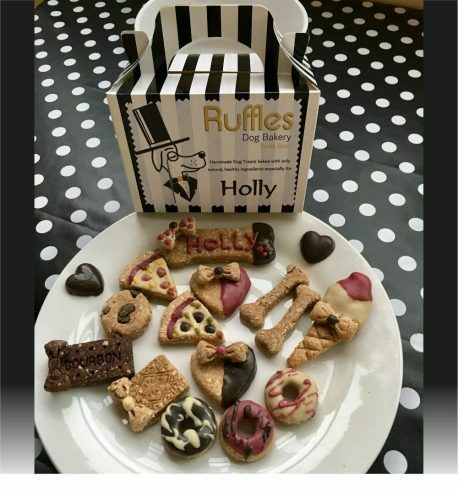 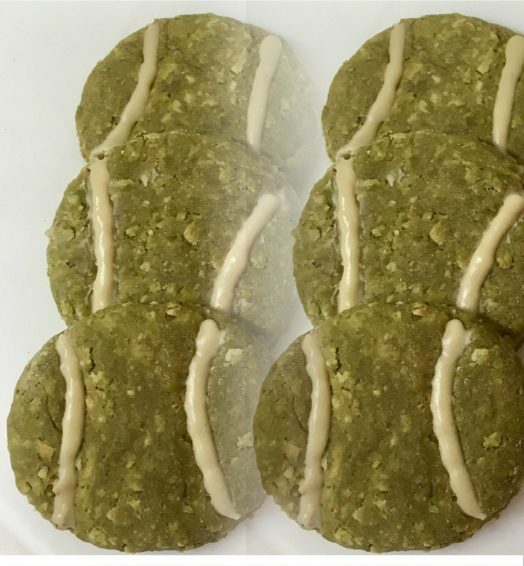 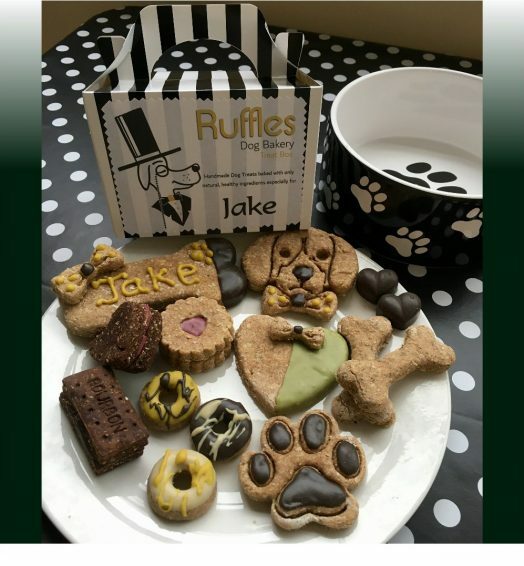 No artificial colorants or nasties in any of our dog treats, just yummy natural ingredients. 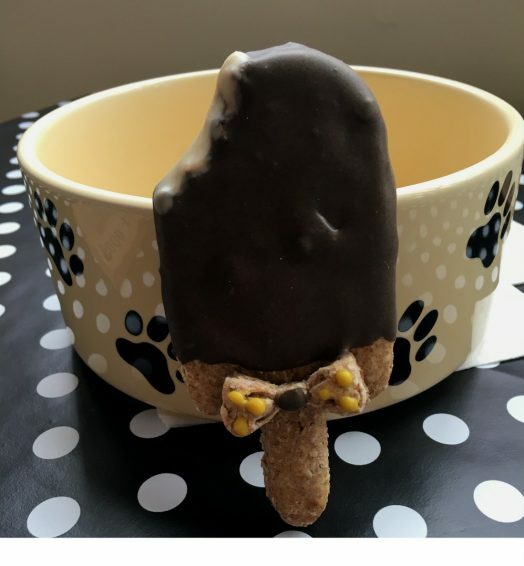 On delivery we suggest storing your treats within the treat box in the refrigerator. 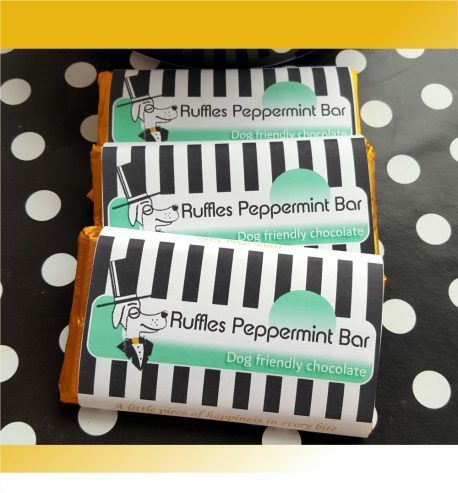 Stored correctly treats have a Best Before date of 4 weeks from despatch.